We were dismayed to watch the heart-wrenching scenes unfolding at the airports in the United States and abroad, resulting from the Administration’s recent executive order. As former refugees, green card holders and now citizens of the United States, we feel strongly that barring the entry of innocent people because they happen to be from one of the seven predominantly Muslim countries chosen by the Administration is wrong, contrary to the admirable democratic traditions and laws of the United States, harmful to the country’s economic interests and competitiveness, and damaging to America’s standing in the world. One of the main goals of the Vilcek Foundation is to raise public awareness of the immigrant contributions to the leadership position of the United States in science and the arts. Our country is a world leader in most fields of science. We have the greatest biotechnology industry in the world. Much of the progress in the treatment of diseases is developed here, and many of the technological advances that are the basis of a thriving high-tech industry originate in the United States. These advances would not have occurred without the contribution of foreign-born scientists. The diverse voices of immigrants also play an important part in sustaining our position as a cultural hub, with the United States being home to world-renowned leaders in all fields of the arts. 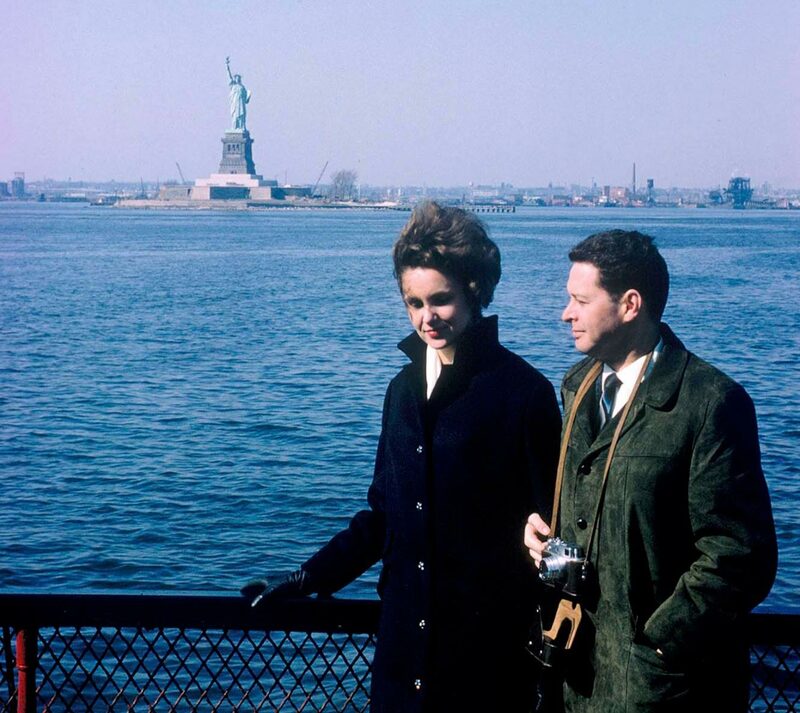 Jan and Marica Vilcek in 1965, the year they settled in the United States as refugees from former Communist Czechoslovakia. The Vilcek Foundation recognizes the contributions of immigrants to the arts and sciences in the United States by awarding prizes to foreign-born artists and scientists. Our prize winners are selected by impartial juries based on a set of objective criteria. Two recent winners of our prizes in biomedical science and one winner in the arts come from Iran, one of the seven countries whose citizens are being barred from entry to the United States by the Administration’s executive order. In total, nine of our prize recipients, who are among the highest achieving members in their respective fields, have immigrated to America from predominantly Muslim nations. Barring such talented individuals from entering the United States is morally wrong and harmful to the interests of our country. We came to this country fifty years ago to break free from an oppressive, authoritarian system of government. Please join us in our determination to protect democratic traditions of the United States, to safeguard the rights of the individuals affected by the Administration’s executive order, and to protect the best interests of our great country. The Vilcek Prizes and Vilcek Prizes for Creative Promise honor distinguished foreign-born artists and scientists. Digital press kits and images for publication are available only for the purpose of media coverage of the Vilcek Foundation. All published images must be accompanied by a credit line and copyright information. Please email info@vilcek.org for information.